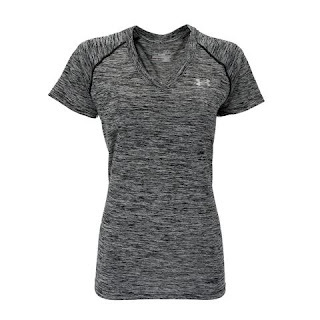 These Women's Under Armour Twisted Tech V-Neck T-Shirts are only $15.99 (Retail $27.99). I have 2 of these and love them. Updated UA Tech fabric has a softer, more natural feel for incredible all-day comfort. Signature Moisture Transport System wicks sweat to keep you dry and light. Anti-odor technology keeps your gear fresher, longer. Extended body length delivers the perfect amount of coverage. Raglan sleeves unlock mobility for serious range of motion. Deep V-neck collar &amp; slimmer fit deliver a sleeker, more feminine silhouette. Ends November 9th or while supplies last.